It was only a couple weeks ago that I binged the entire first season of Riverdale over the course of three days, so full disclosure, maybe Cole Sprouse was already fresh in my mind when I recently dove into a bit of research about Louis Vuitton (for an upcoming story—stay tuned). However, upon seeing a photo of a young Vuitton hanging within the Volez, Voguez, Voyagez exhibit currently on display in New York, I did an instant double take. The iconic designer has the same exact face of one Mr. Jughead Jones. The resemblance is uncanny, from the tousled waves to the almond-shaped eyes to their rounder jawlines. Naturally, my reaction was to share the comparison with all my co-workers (who agreed!) and then immediately tweet to Sprouse, the French fashion house, and Ancestry.com. With a resemblance as spot-on as this one, how far-fetched is it that the actor is a descendant of the greatest trunk maker in modern history? Or, for the more imaginative theorists, that Sprouse (and possibly his twin brother, Dylan) clearly has solved the mystery of time travel? Either way, we need answers. 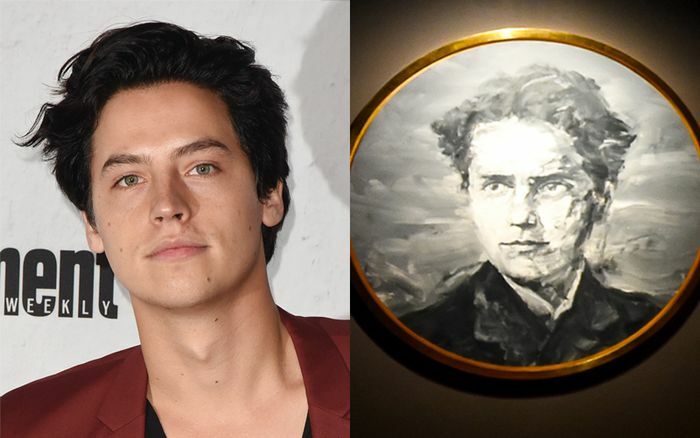 Scroll down for undeniable proof that, at the very least, Cole Sprouse and Louis Vuitton are one of the most surprising celebrity look-alikes ever encountered. Are Vuitton and Sprouse doppelgängers, or what? Weigh in below.